Sustainable Bolivia has enriched my life in many ways. It was really, for me, the adventure of a lifetime. 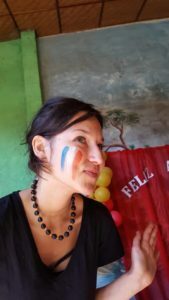 I acquired professional knowledge while working in the NGO and direcly with the management, getting in connection with very different actors going from public authorities, to people involved in tourism in Riberalta, the government and rural and indigenous communities. Thanks to this experience, I really feel a change in my life and in my aspirations. I am used to volunteer, but none of my volunteering have been that enriching. In Riberalta and with Sustainable Bolivia, I could reconnect with the simple pleasures in life, I met inspiring people and discovered a beautiful biodiversity in the Aquicuana Reserve! The members of the team are very kind and extremely friendly ! I totally recommend it. My only regret has been not to stay longer than two month !